Thanks to the expandable Hub ladder rack by Umbra, space is easily created to hang up coats, towels or clothes. Featuring four rungs and hooks on the side, the ladder rack is as versatile as it is beautiful. Placed in the hallway, the modern design piece can serve as an alternative stand on which coats and bags can be hung. In the bathroom, towels can be draped over the rungs, while in the bedroom Hub transforms into a mute servant that helps stylishly organise clothes. When necessary, the ladder can be expanded to accommodate larger items. The designer Matt Carr has attached great importance to the materials and the colour combinations used for this piece. While one half consists of wood, the other half is made of steel. The result is a modern statement piece that blends perfectly into any environment. 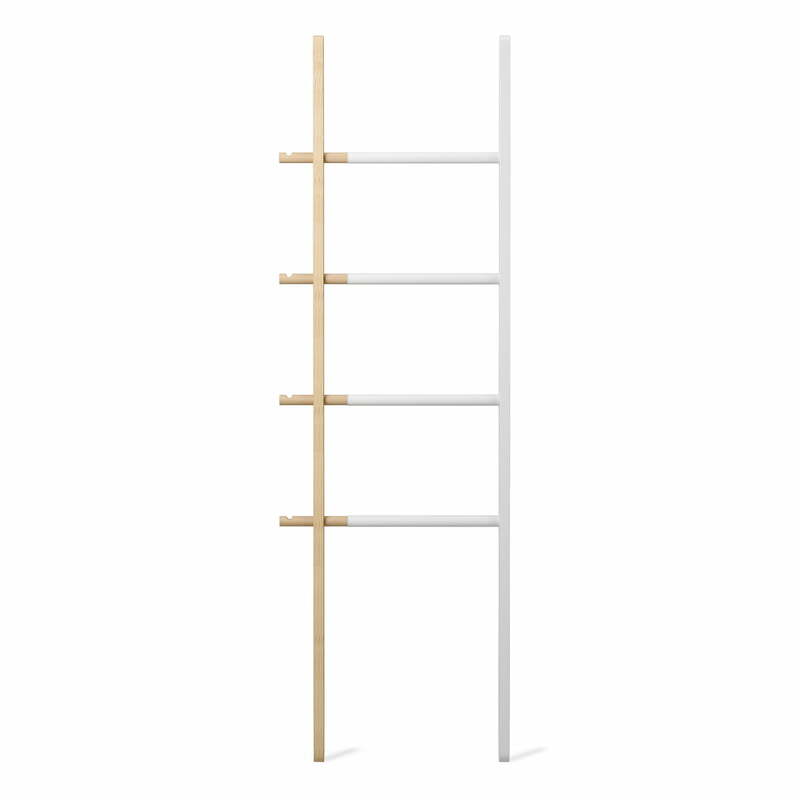 Isolated product image of the Umbra - Hub ladder rack. Placed in the hallway, the modern design piece can serve as an alternative stand on which to coats and bags can be hung. Featuring four rungs and hooks on the side, the ladder rack is as versatile as it is beautiful. 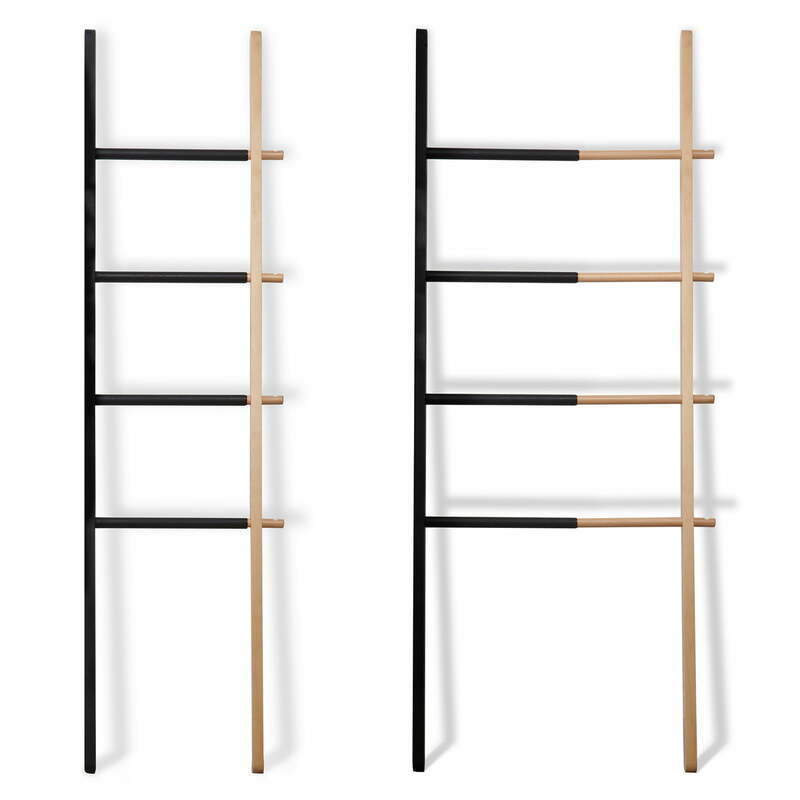 Isolated product image of the Umbra - Hub ladder rack. Thanks to the expandable Hub ladder rack by Umbra, space is easily created to hang up coats, towels or clothes. Isolated product image of the Umbra - Hub ladder rack. 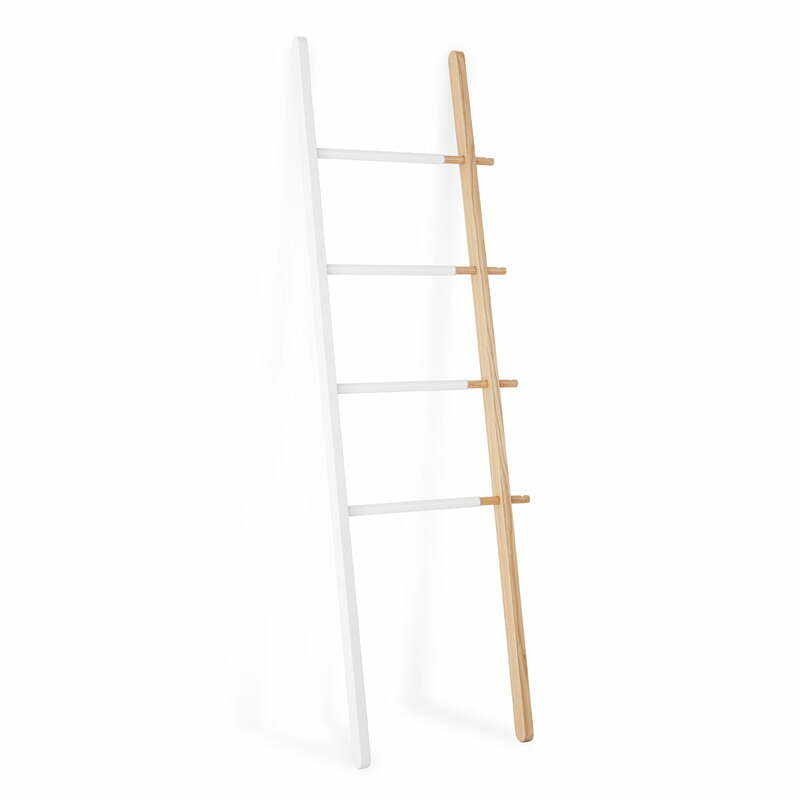 Depending on the amount of space required, the ladder can be expanded for larger towels or clothes. 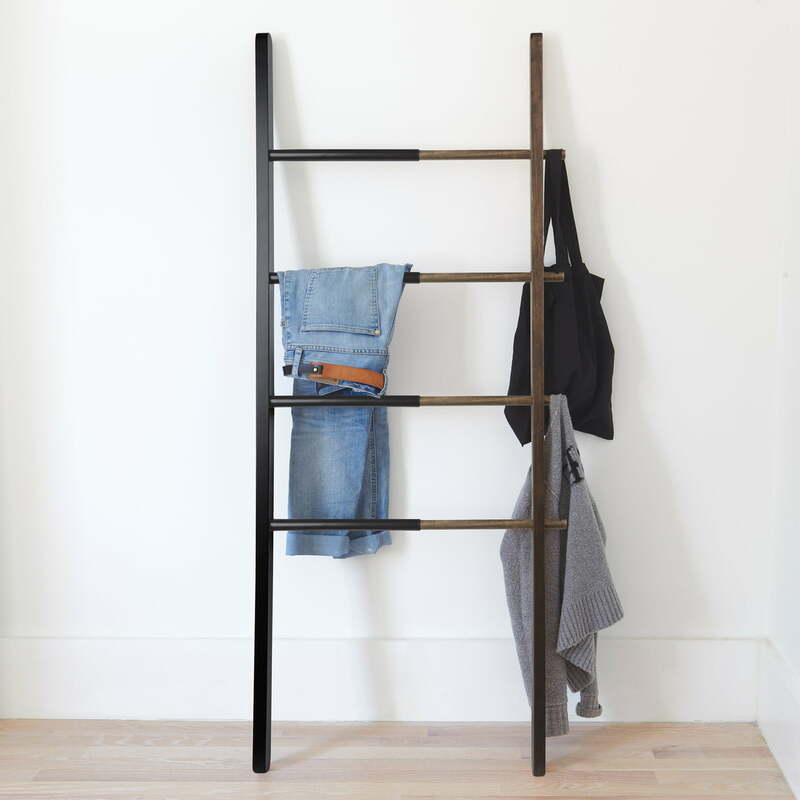 Lifestyle product image of the Umbra Hub ladder rack. Leaning casually against the wall in the bedroom, Hub transforms into a mute servant that helps to organise clutter.